When I wake up in the morning, the first thing that I do is to open my kitchen window. I inhale the fresh air, it wakes me up more than the steaming cup of coffee that will shortly follow. I turn left to see if my dad and my sister left for work. I usually spy mum in the distance, already bringing logs of wood inside or feeding Wolfi the cat. Then I look down and check on my grandma. She is a morning person, so usually her door and windows are open and she’s already clattering in the kitchen or taking care of her flowers in the garden, weather permitting. After this brief family inspection, I check on the countryside: colours and shades, mist or rain, heavy clouds or soft whipped cream in the sky, the smell of a sudden downpour or the tender green whiff of grass growing. Everything happens within seconds, it is a form of meditation, it keeps me rooted in what is most important for me and gives me a sense of when and where I am. When timid buds begin to appear in the high branches of the acacia in front of my kitchen, it means that something is brewing, underneath the frozen soil, the damp fields and the brownish woods. 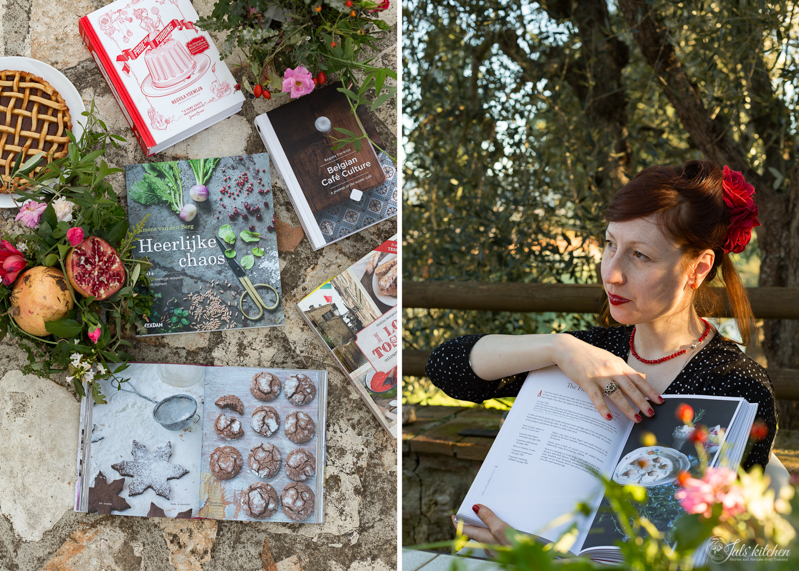 Even though I am still holding on to the citrus fruit and the cold weather, enjoying my slower months and cosy soups at night, I can feel the new season coming along with new cooking classes and the spring edition of our Three Acres Creative Gathering. When we met in October for the first Autumn edition of the Three Acres Creative Gathering, just spending time with friends and like minded people helped me discover my perfect dimension, made of honest relationships with real people, real gestures and a deeper contact with Nature. We spent three days together as a group of friends, we took our time to explore what really matters to us, being it a good photo, a fragrant loaf of bread, a well executed menu or a piece of writing where you poured your heart in. Other friends joined us, everyone bringing his own expertise and passion, making it a time to remember. I am therefore excited to see what this edition will bring. 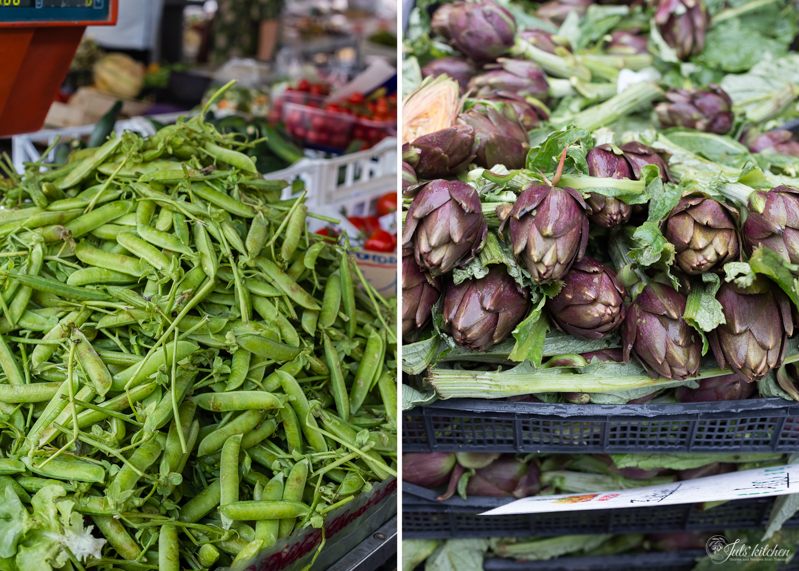 There will be time to chat, experiment, cook and eat together, head to the market to discover local seasonal ingredients, knead a good loaf of sourdough bread and light up the wood burning oven to bake bread and pizza. 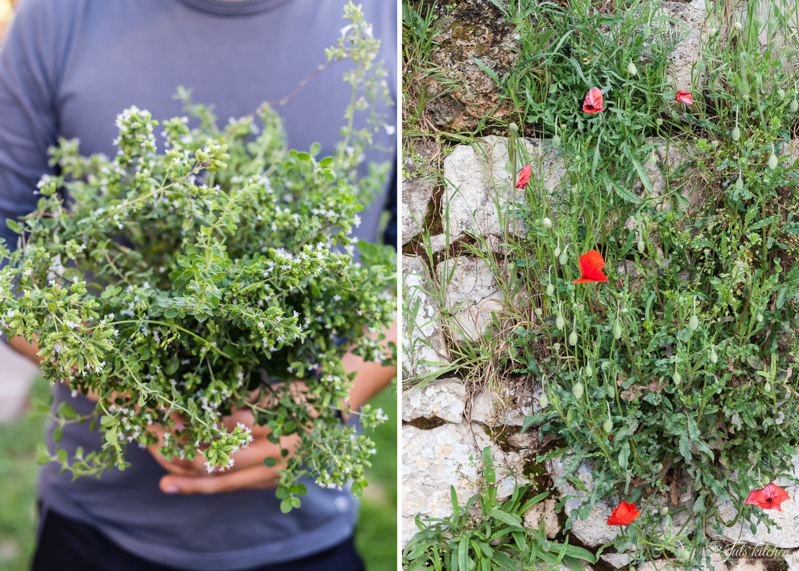 We will learn to set up a beautiful table with flowers and to make our own natural cosmetics, we will talk about inspiration and creativity, photography and writing, we will create new bonds and discover medieval hilltop villages here in Tuscany, all in a friendly and curious atmosphere. 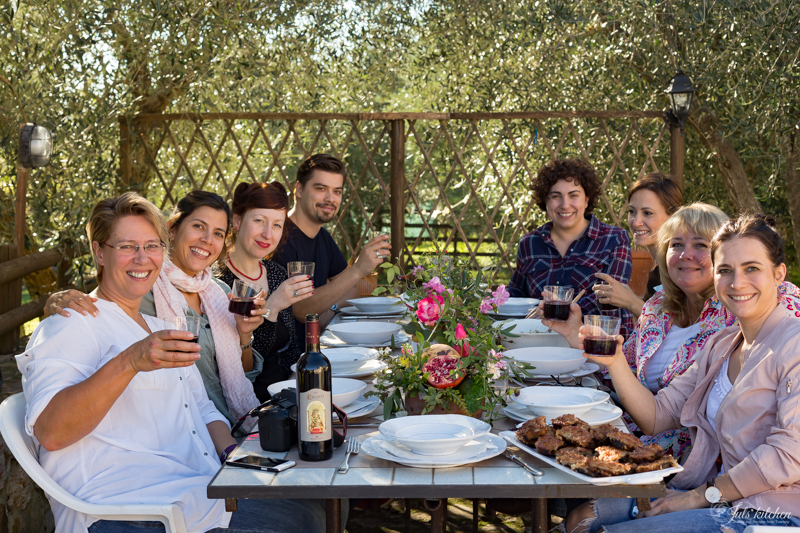 So join us for a creative gathering which will celebrate the seasonal food and the pleasure of getting together in a quiet location in the Tuscan countryside. You can also arrive in Rome and take a train to Florence. Contact us for more info or to book your spot! Book your flights as soon as possible as the 25th of April is national holiday in Italy, so everyone will be traveling during the long weekend. You will stay at a lovely but basic agriturismo in the Sienese countryside on the outskirts of a tiny village with only a few houses. 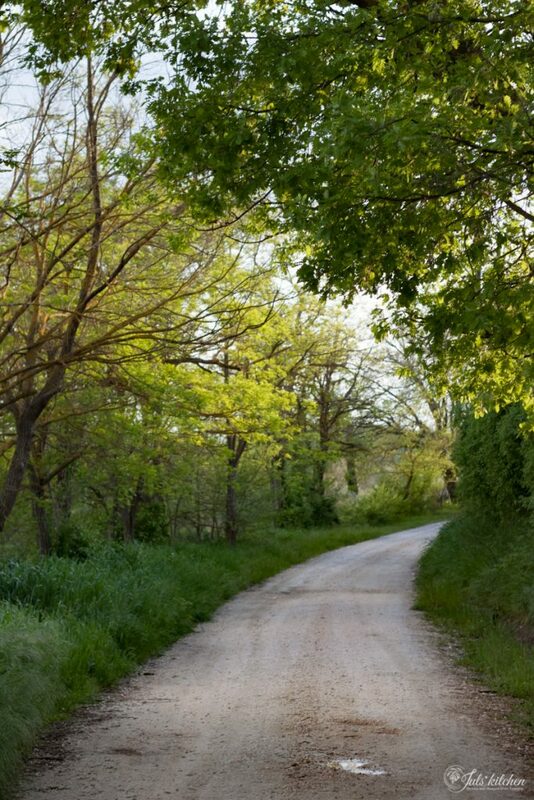 We will pick you up every day and when we are at Juls’ Kitchen we will walk there and enjoy the fresh air. 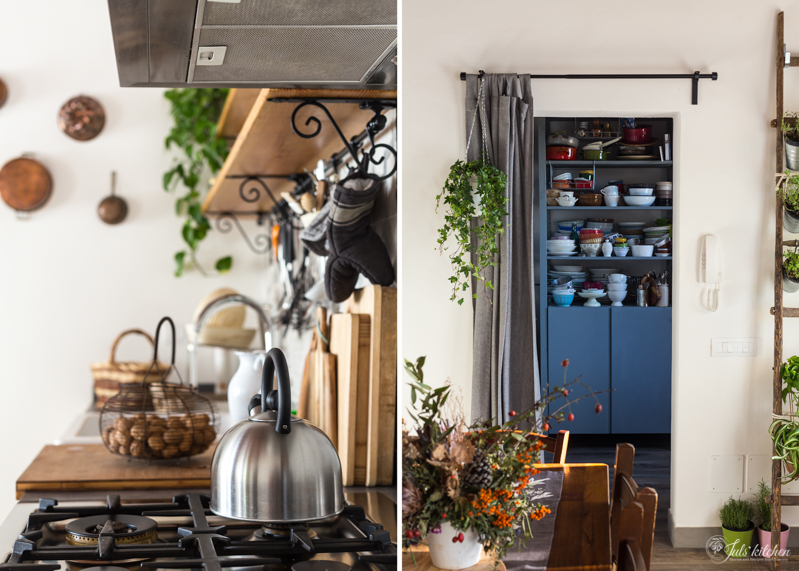 Juls’ Kitchen is situated in that tiny village and is the cookery studio of Giulia Scarpaleggia who has been teaching Tuscan cookery courses and food expeditions there for over five years. The studio is cosy and features a large open plan kitchen where will will cook and eat and drink copious amounts of tea. We have a lovely big garden there with wonderful countryside views, olive trees and the company of a Maremma Sheep dog and a black cat. Inspired by the ‘Three Acres and a Cow’ philosophy we will visit a local family run farm. 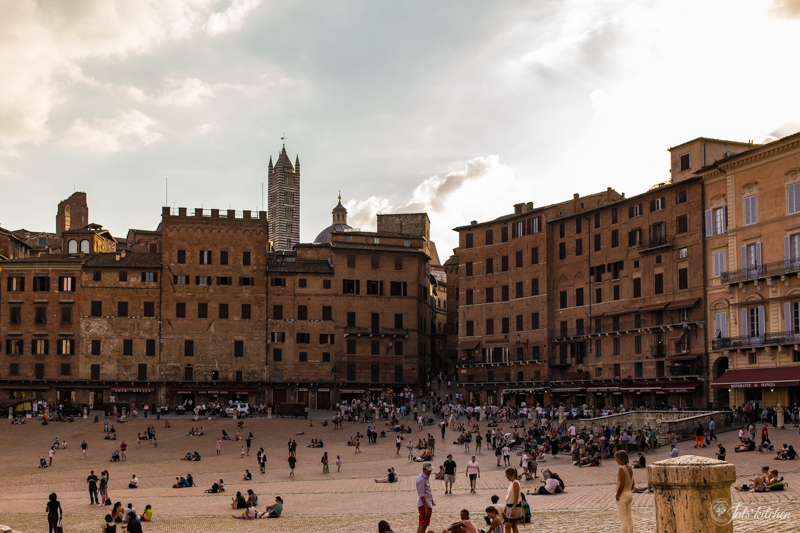 After the farm we will head to Siena for a walk and dinner in one of the most well preserved medieval towns of Tuscany. There will be plenty opportunities for each student to practice the techniques learned during the weekend. We have done everything to keep the price as low as possible but as we pay each producer or business and work with beautiful local produce, the price reflects that. We want the small businesses we work with to benefit from this, not be left out of pocket because we are after a freebie. Everyone deserves to get the price they or their product is worth. You have also the option to stay until Tuesday to take part in the Juls’ Kitchen Fettunta Party in the garden surrounded by olive trees. It is an annual event, a great way to meet fellow food enthusiasts and feast together. 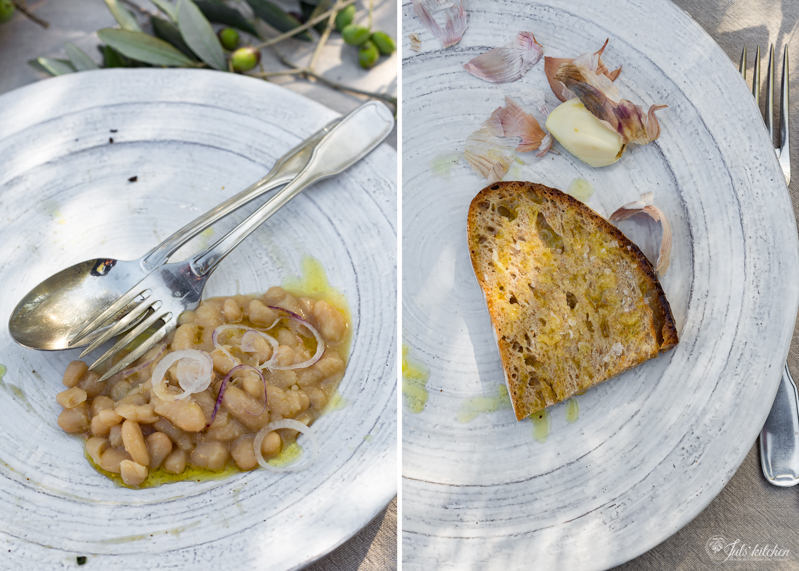 Fettunta is another name Tuscans give to bruschetta, a toasted slice of bread doused in good olive oil. Giulia (me!) 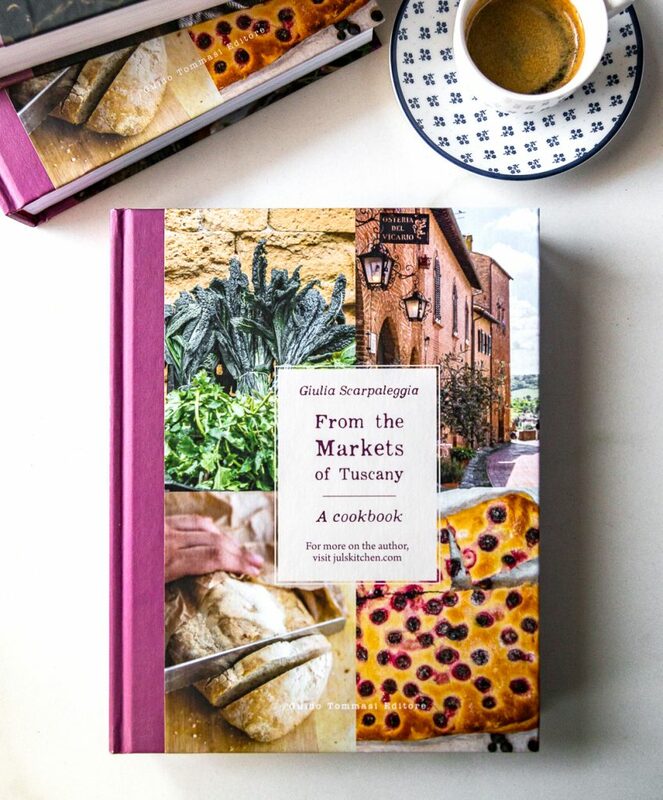 is the author of 5 cookery books, she has been running Tuscan cooking classes, food excursions and workshops for 5 years from her Tuscan family home and studio Juls’ Kitchen. 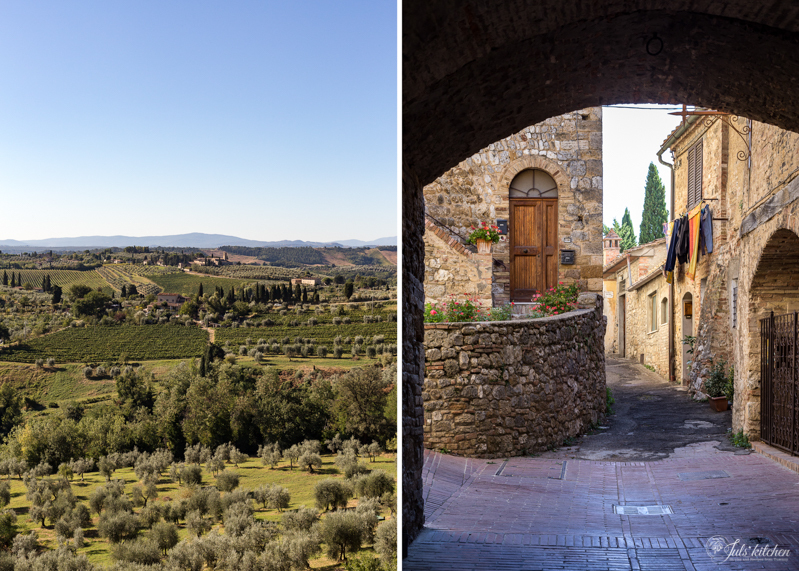 Join us for a long weekend in Tuscany! 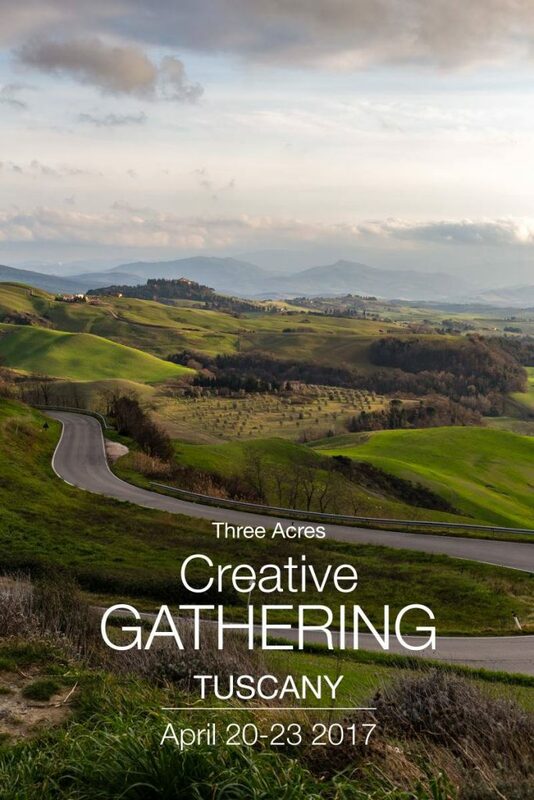 Read what Sarka, Regula, Simone and Manuela wrote about the last Three Acres Gathering.